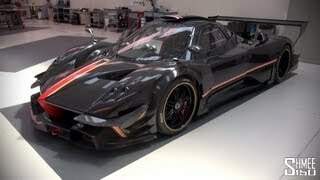 Known for building some of the world’s most exotic cars, Pagani has announced the Zonda Revolucion, which is a collaboration of performance, technology and art applied to a track car. 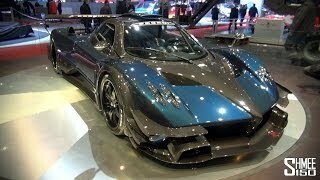 The 2013 Pagani Zonda Revolucion or call it a machine has a centra monocoque of carbon-titanium, bringing down the curb weight of the machine to 1070 kg. The aerodynamics feature important innovations, like new deflectors on the front bonnet, as well as a vertical stabilizer mounted on the rear bonnet. Engineers have been able to pull out an astonishing 800 hp from the 6.0-liter V12 engine with 730 Nm of torque, resulting in a power to weight ratio of 748 hp per tonne. The 6 speed magnesium transversal and sequential gearbox changes gears in 20ms. A 12-step traction control system developed by Bosch allows the driver to adapt the behavior of the Zonda Revolucion to his driving style. 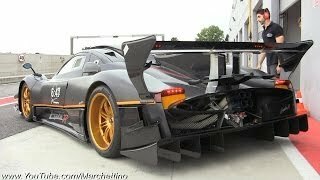 Pagani Zonda Revolucion also features a DRS (Drag-Reduction-System) on the rear wing. Holding down the DRS for more than two seconds engages the DRS to work automatically. The result is a car that is always fast, a strong performer able to take on any circuit in the world. The Brembo braking system adopts new cutting edge F1-tecnology derived CCMR discs. 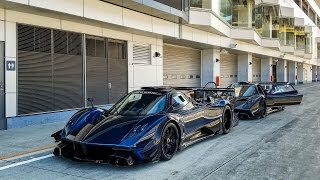 In all, Pagani Zonda Revolucion is the ultimate experience for individuals who want to experience the thrill of an extreme track experience, in a safe and intuitive machine.